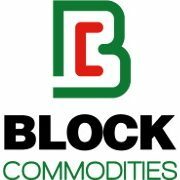 Block Commodities Limited and Financial & Commodities Ecosystem Limited (FinComEco) a subsidiary of GMEX Group Ltd, are pleased to announce a strategic alliance with Swarm Fund (Swarm). Swarm is a fully decentralised capital marketplace platform built on blockchain technology for private equity. Under the alliance, the parties will provide a unique investment opportunity via the listing of FarmCoin Venture, an asset-backed investment coin, to help develop a pan-African financial and commodities ecosystem. Under the terms of the agreement, investors will be able to participate in the FarmCoin via Swarm’s fully regulated marketplace. This investment will help supply African farmers with the financing of the infrastructure needed to help them raise yields and sell crop surpluses. The FarmCoin Venture has been created as a Joint Venture between FinComEco and Block Commodities (the “Joint Venture”) to support the anticipated rapid growth of its agriculture-focussed ecosystem and the requirement to deploy a hybrid centralised and decentralised commodity exchange platform. This includes wireless data communication, farmers’ KYC data support, data analysis, smart warehousing for fertilizer distribution and crop storage as well as transport. The initial investment ceiling will be US$45 million in value of FarmCoin tokens. The investment will be deployed by the Joint Venture parties to develop commodity ecosystems on a per-country basis across sub-Saharan Africa. This will include commodity finance and micro-lending to farmers for fertilizer and seed as well as the development of local and regional warehousing linked to commodity exchanges, making it easier for farmers to sell surplus agricultural produce. FarmCoin’s primary aim is to provide a fully regulated financial infrustracture to Block Commodities and FinComEco’s commodity ecosystem. This ecosystem intends to provide financial opportunities for those parts of African farming community who is either ineligible for loans or are forced to take on borrowings via moneylenders at uneconomic rates. FinComEco is already in discussions with over twenty countries across Africa with four countries already contracted to take up its model. In the FarmCoin model, farmers will be able to bring surplus crops to a warehouse.The surplus crops are aggregated and sold via a FinComEco-facilitated commodities exchange. Once the crops are sold, the warehouse fees and loan interest are paid and the net profit credited to the farmer in FarmCoins. The interest rates on FarmCoins will be at a mutually agreed, decentralised interest rate, expected to be up to 50 percent lower than prevailing bank lending rates and 75 percent less than the commercial rate. Investors who participate in Swarm’s marketplace will purchase FARM tokens, representing fractional ownership in the FarmCoin infrastructure, making this a true asset-backed token. FARM token holders will benefit from a share in the fees and interest paid by the farmers. FinComEco, a fully integrated Financial & Commodities Ecosystem, is a corporate venture to provide an ecosystem of services, financing, capacity building and enablement solutions underpinned by technology, to drive an improvement in food security and economic diversity through socially responsible commercial means (as opposed to charity), to foster financial inclusion.